I was trying to decide what type of earrings I should do next when it hit me. 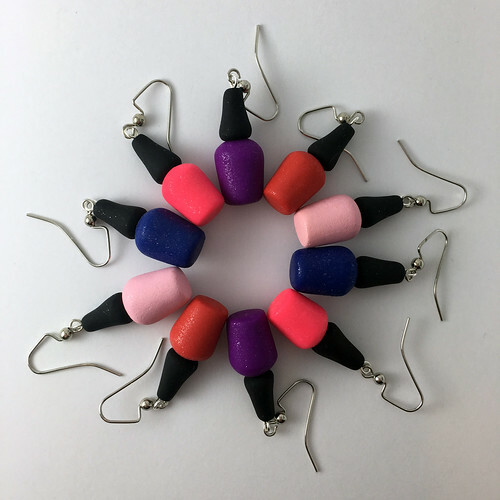 Why don’t I make nail polish bottle earrings!? It only makes sense to combine my two favorite hobbies. I thought I would share, and that maybe some of my fellow nail art bloggers might appreciate them. Right now I’ve made 5 different colors and I made them all glittery… because you can’t go wrong with glitter polish! Okay, something a little different for today! A random journal entry. I never realized until today how much I love buying art. I spend a lot of my time on my computer looking at design. 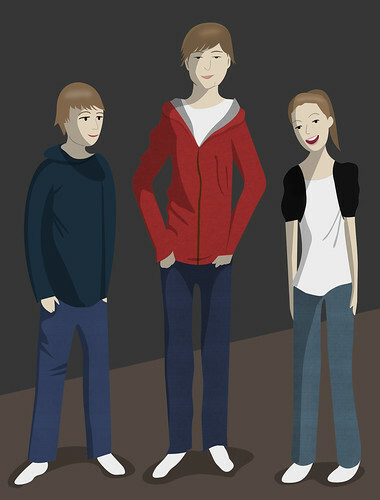 I look at interior design, graphic design, nail art, photography, sculpture, and illustration. I know when I see something I love because it brings out some kind of emotional response in me… when the beauty of it is beyond breathtaking. The kind of art a person loves says just as much about that person as the actual art says about the artist and it’s a nice reminder to me to remember (and love) who I am and it’s heart warming to know that even though I don’t know this person, I share something with them. When I buy someone’s art it’s like having a piece of their personality in my home and I feel a strange sort of bond with a person that I’ve never met. What makes it even more special for me is because I get to validate the artist, I get to let that person know that I value their passion in life and I think that feeling would be amazing. I know what it means to be an artist. It’s tough because the quality of your work is all you have to go on, and when you have to be creative every single day, conjuring it can sometimes prove to be difficult. You are also putting yourself out there for someone else to judge and of course you want their approval. Anyway, I get a strange sort of thrill when I make a final purchase and I anticipate everything I possibly can about it. When it will get here, what kind of frames should I buy, where I should hang it in my home. I also like the prospect of being able to not only share a little bit about myself, but also share some of the artist’s work with you. Untitled, a photo by intraordinary on Flickr. I got the urge to draw again recently. 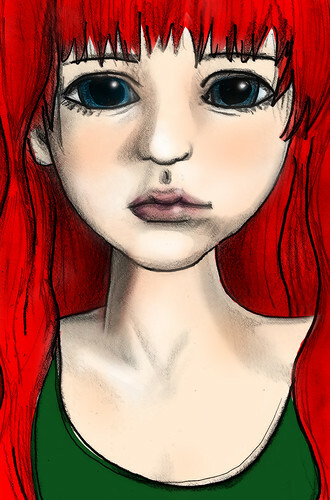 I drew this with pencil and marker and then I scanned it in and added color and did some manipulating in photoshop. Someone told me my shading was off but I don’t really care if it’s perfect… it’s all in good fun. kids, a photo by KT❤ on Flickr. It’s easy to remember to be thankful on Thanksgiving but remembering to be thankful for things every other day of the year should be just as important. Trying to focus on positive things instead of negative ones is something I have to work at but I do have a lot to be thankful for everyday. My Thanksgiving was wonderful because my niece and nephew were there. All the other adults wanted to send them upstairs so they wouldn’t disturb us but I wanted to soak up as much as I could of their company because I know that I don’t get to see them very often. Every time I see them they are a little bit taller and their personalities are developing more and more. I worry that they will forget what it feels like to be comfortable around me, I fear that we will become strangers. Gladly our connection has not broken. The familiarity is still there as well was the interest in getting to know each other better. It is my goal to hold onto their friendships because they are a few of the most important relationships in my life. I probably tell them I love them more then I ought to but I don’t want them to forget. The struggles they have been through are enough to break a person. But they are resilient creatures and they have my respect for it. I just hope they can try to enjoy what is left of their youth before having to continue the battle because sadly it doesn’t get any easier. 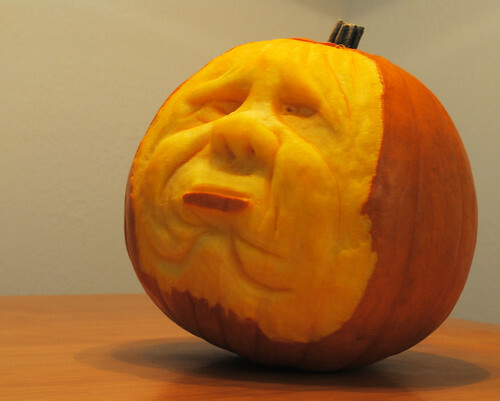 Halloween Pumpkin Carving, a photo by KT❤ on Flickr. While everyone else tonight is dressing up in costumes and going out to the bars. My fiance and I stayed home listening to Halloween music and carving pumpkins. 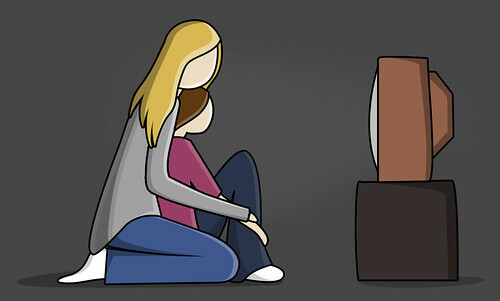 I prefer a nice quiet night at home. I used my speedball linoleum carving tool and some of the ceramic carving tools I had left over from college. Love, Respect, and Guidance, a photo by KT❤ on Flickr. I made this to reflect the thoughts I’ve had on my mind for a few days now. Children need love, respect, and guidance. To keep this world full of strong, healthy, capable people… it’s starts with parenting. A lot of people now days have children because they want to become an adult as fast as they can. They want to “play house”. They don’t understand that there is no room for selfish actions anymore. All of their choices should be made by keeping in mind the well being of their children. It’s not fair for a child to grow up in a household where they learn that anger and violence is the only way to deal with their problems and frustrations. It’s not fair when a child feels left out and out of place because they don’t get the positive attention they crave. Imagining the adult they will most likely become saddens me deeply. I have so much empathy for these children that I often cry for them. If our number one priority as adults became the well being of our children, perhaps humanity and the world wouldn’t be so corrupt anymore. 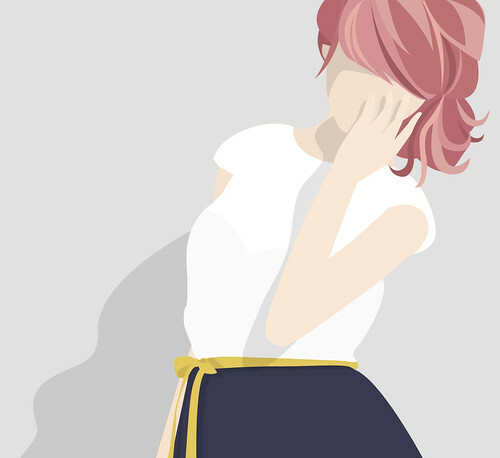 fashion illustration, a photo by KT❤ on Flickr. Colors are so inspiring and essential to me, it’s one of the thing I think makes life worth living. Different combinations of color can describe many things without using any words. There’s something refreshing about the combination of pink and yellow. It’s like a glass of raspberry lemonade in the summer time. The navy and yellow contrast beautifully because they are complementary colors. And the navy adds a touch of sophistication.